Pinterest is a fantastic place to find new opportunities and inspiration. There are great ideas that make our lives enjoyable, including tasty life altering recipes. Lucious photographs of perfectly baked bread, cakes oozing with caramel, and delicious one-pot meals dominate this social media heaven. 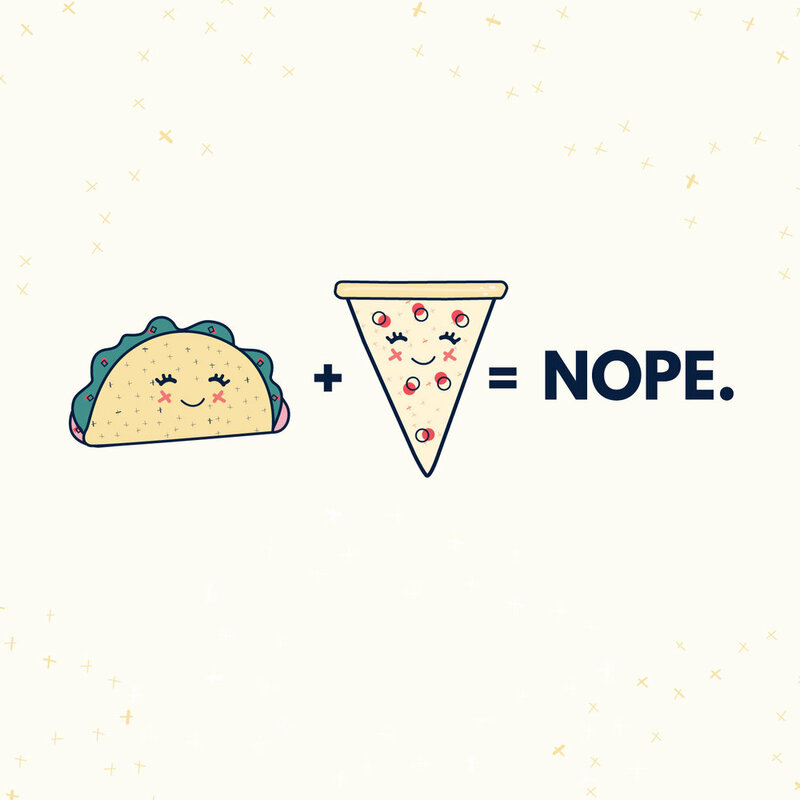 But if you are scrolling through and see "Taco Pizza" keep scrolling. In fact, for the love of god don't make "Taco Pizza." No one in my family could gulp down the crunchy, meaty, and worst of all sweet, spongy texture of this concoction. Yes, as a family we felt lucky to have food on our table. However, we also felt fortunate to all agree that we should never make this recipe again, ever. Don't take our word for it. Take this recipe for a whirl and let us know if we should give taco pizza another chance. Step 1: Preheat the oven to 375 degrees. Unroll the crescent roll dough and place on an ungreased cookie sheet. Pinch the gaps together to seal. Bake for 8-10 minutes or until light golden brown. Let cool. Step 2: Beat together the softened cream cheese and sour cream until smooth. Layer over the cooled crust. Step 3: Brown the ground beef and drain. Add the taco seasoning to the meat cook according to package directions. Simmer for 5 minutes, stirring occasionally. Step 4: Layer the ground beef evenly over the cream cheese layer. Top with lettuce, tomatoes, and cheese. Cut into serving-size pieces and serve immediately. There is always a stinker in the bunch.